Vortec 5.7L V8 SFI, 4WD. Priced below KBB Fair Purchase Price! 1998 GMC C/K 1500 SLE Pewter Metallic 4WD 4-Speed Automatic with Overdrive Vortec 5.7L V8 SFI Hibbing Chrysler Center, where everybody gets a great deal! Priced for quick sale, High Book $5200.00. 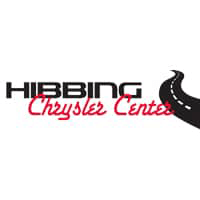 2010 Kawasaki Hibbing Chrysler Center, where everybody gets a great deal! **LOCAL TRADE**, Polaris ranger 4x4. 2008 Polaris ranger green auto Hibbing Chrysler Center, where everybody gets a great deal! **LOCAL TRADE**, **ONE OWNER**, AWD, Moonroof, Tow Package, very well maintained. super clean!! !, CVT, AWD. 2011 Nissan Murano LE Brilliant Silver Metallic AWD CVT 3.5L V6 DOHC 24V Hibbing Chrysler Center, where everybody gets a great deal! 2008 Subaru Impreza WRX Dark Gray Metallic AWD 5-Speed Manual with Overdrive 2.5L DOHC Intercooled Turbocharged Hibbing Chrysler Center, where everybody gets a great deal!